Thanks for tuning to The Weekly Dish radio show. Listen to today's cheery episode here. 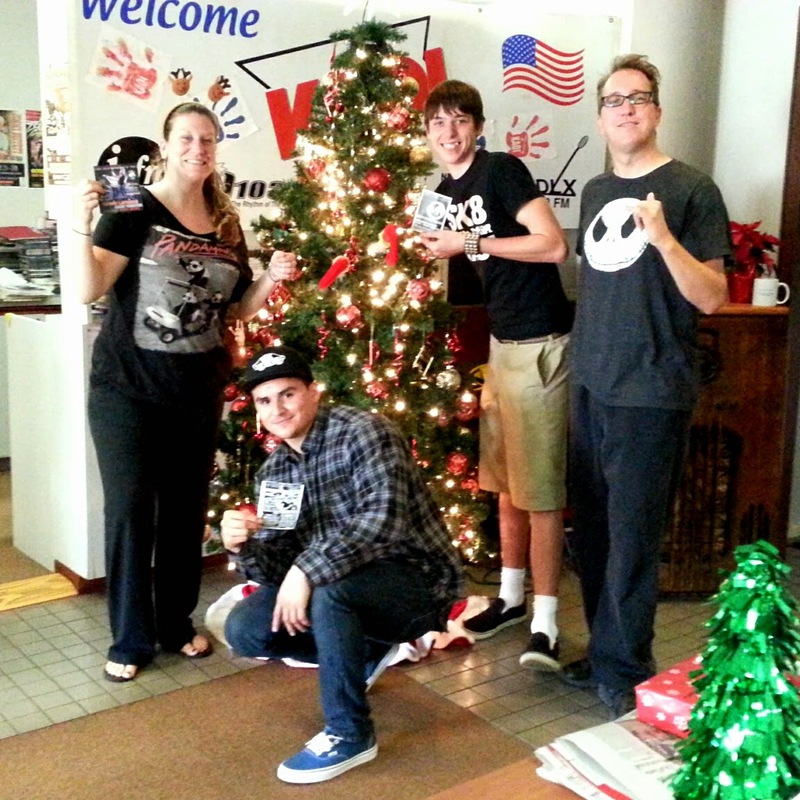 Thanks to Maui punk artists and radio DJs Jose Roman and Alec Bayer for visiting us at KAOI. Check out the show fliers below. Don't miss Maui comedians Chino La Forge, Sunny Dennis and Power Up Comedy crew LIVE @ 7 p.m. tomorrow night at the Maui Theatre. Call 856-7900 to reserve seats NOW! Only $5 kama'aina. We hope you have a fun and safe holiday season, whatever you celebrate!